Is Tesla Considering Franchised Dealers? Michigan has become the latest battle ground in the Tesla direct sales vs. dealership franchise conflict. Awhile back I suggested that Tesla may benefit by changing the system from within. In a recent interview Musk hinted that in order to achieve his sales goals he may have to reconsider his position on direct sales. "When I asked him if he could really scale up his retail model in all 50 states of the U.S. and asked how they would handle maintenance and repairs...Musk admitted that relying exclusively on company stores probably was not enough." Since the beginning Musk has been adamantly against the franchise system, he believed that dealerships for the most part aren't motivated to sell new technology like EVs. Recent reports citing how shoppers have been disappointed with the dealership experience when they try to purchase an EV, support what Musk has suspected all along. However, with two new models on the horizon, sales roadblocks in several states, and an ever growing customer base the brand may have to look beyond direct sales. An article from HybridCars.com reveals that Tesla could consider some type of franchise approach once they achieve a certain volume of sales. In a closed door regulatory meeting in fall 2013, two witnesses cited Tesla's Legislative Director Jim Chen who told a room full of industry stakeholders Tesla only means to sell factory direct until it reaches an undefined minimum volume threshold. Musk did not reveal at what point franchises would be on the table nor did the brand say how they would implement this "hybrid system." 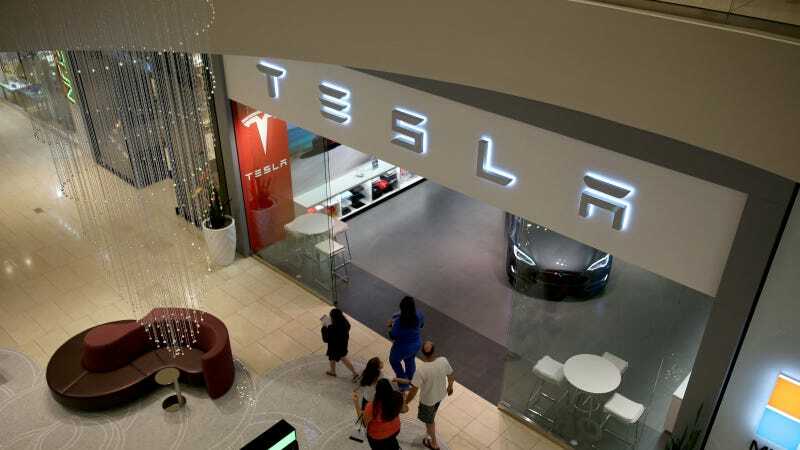 Do you think Tesla should consider franchising or should they stay the course?